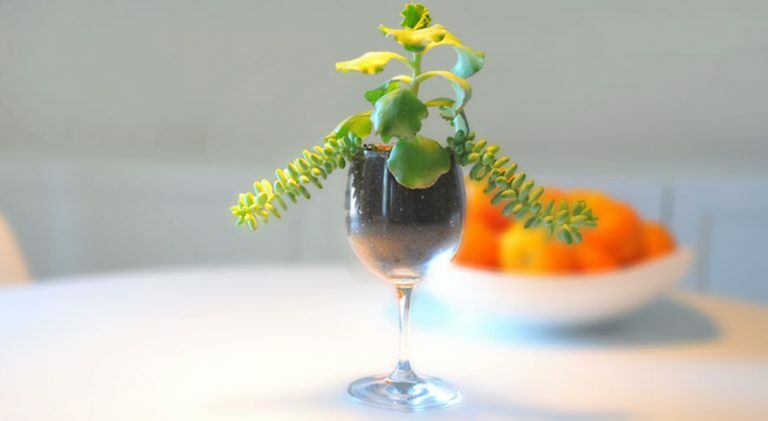 Micro Plant Studio’s mission is to become a recognized seller of plants, flowers, and plant theme related gifts throughout the United States and a gathering space for community members who enjoy floral, plant, and art based activities. The company guarantees 100 percent customer satisfaction and values friendly service. Micro Plant Studio’s purpose is to increase customer’s appreciation of tiny plants, plants, flower arrangements, and other plant theme related products; to provide customers with beautiful, unique, soothing, and joyful artistic products; and to provide neighborhood residents a communal space to increase sense of community and artistic expression. Micro Plant Studio is comprised of a showroom, studio, and an online shop. Tiny roots. Big smiles. ™Our slogan and our company name have personal significance for our founder, Julio Cesar Roman. In 2017 Julio had an unexpected surgery. 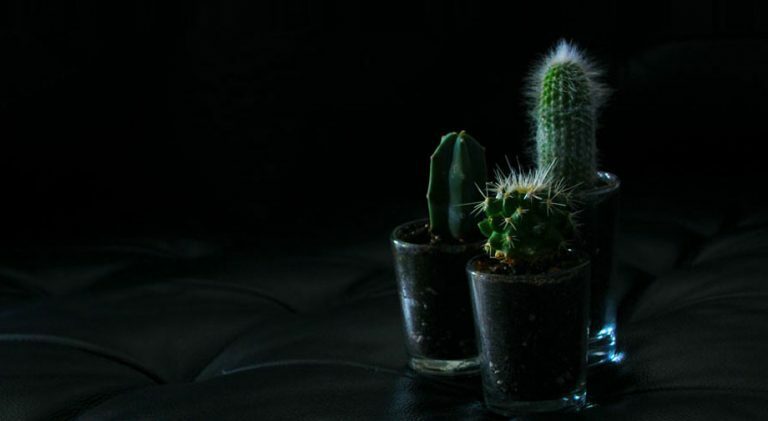 As part of his recovery process, from his art studio apartment, he cared for his growing collection of succulent plants. Julio found caring for the plants soothed him and made him feel happier. As an artist, he was inspired to learn more about the biology of succulents and other plants. Julio explored the propagation process and experimented with planting in cool glass tubes and other containers. Within a short period of time he had too many plants to care for. 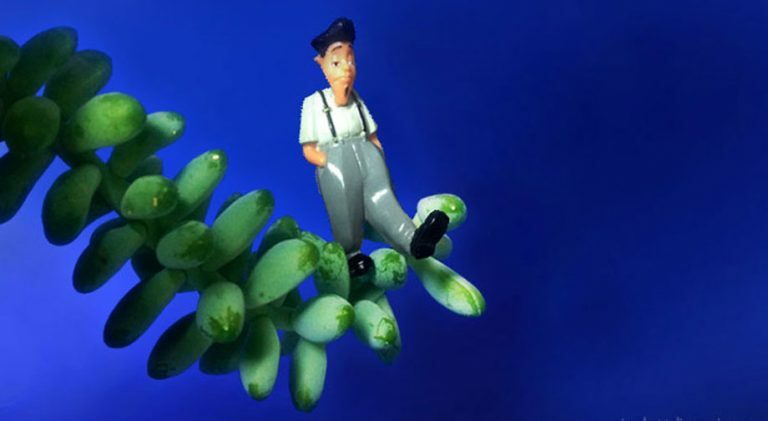 He started to photograph the propagation process and the plants interacting with his collectable tiny toys by creating dramatic environments. 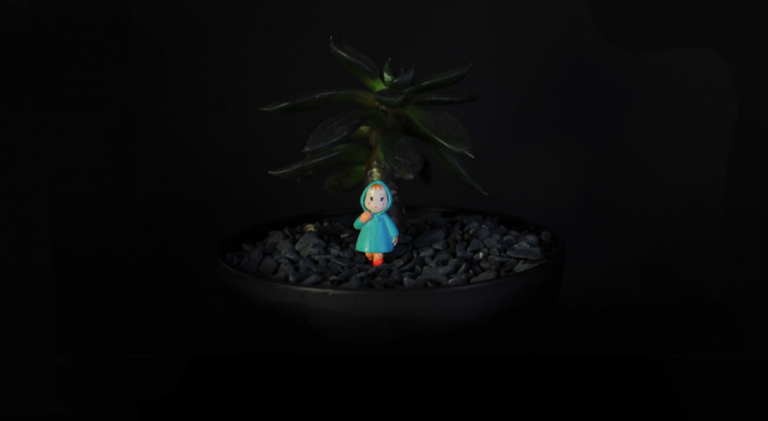 Now, his plant collection and toy collection are online. 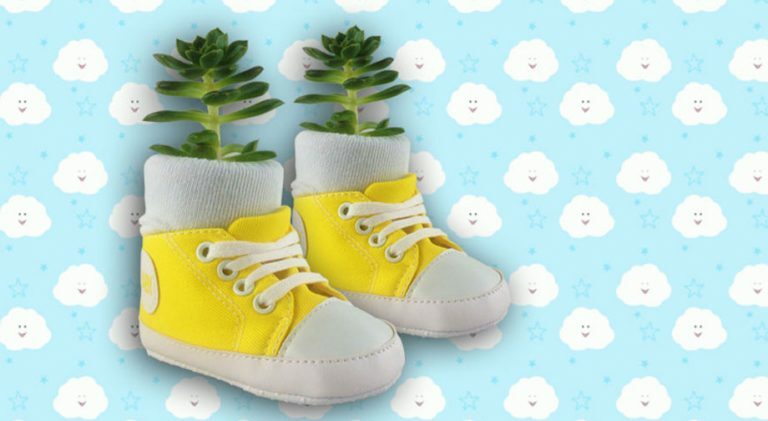 Purchase one of his tiny (Micro) plants or a larger plant along with a (or several) toy(s) to add to your collection. 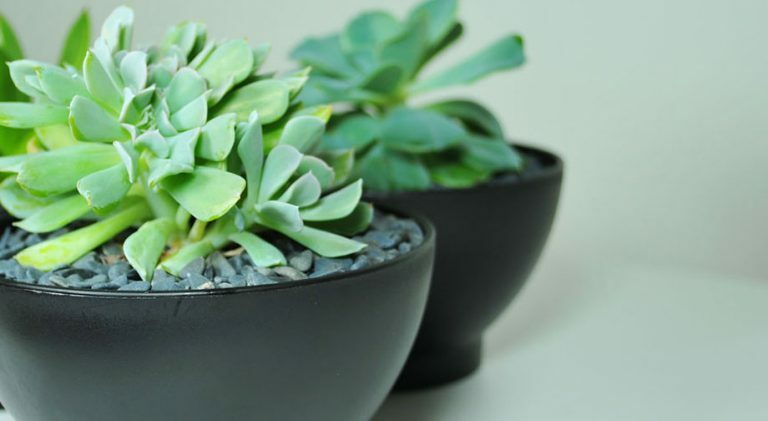 These plants are great for your home or office and can easily make a great gift/present to family and friends. All of our collections are pet, kid, and adult friendly. Help us soothe and bring a BIG smile to the world, one plant at a time! Located at 365 West Broadway, South Boston, Massachusetts 02127, Micro Plant Studio occupies approximately 650 square feet of space in the heart of South Boston’s W and E Broadway neighborhood. Boston-based artist and community leader Julio César Román, Micro Plant Studio’s owner and web designer, in partnership with Boston architect Elvin Zayas, collaborated on the overall concept for Micro Plant Studio. Julio is a Boston based local artist, web designer, community engagement strategist, and plant lover. 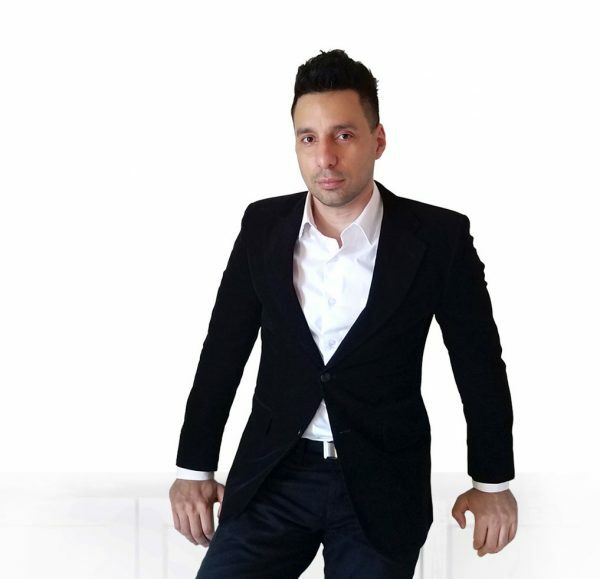 Julio was born in Mayagüez, Puerto Rico, and lived for a time in Hartford, Connecticut. He moved to Boston to study at the School of the Museum of Fine Arts, where he received a Diploma in Fine Arts, Fifth Year Certificate, and a Bachelor of Fine Arts. He went on to study Social Policy, receiving a Master of Public Policy from Tufts University. He can be reached via our email, HERE. The overall design of the showroom was inspired by the aesthetics of our website and gallery/museum space. 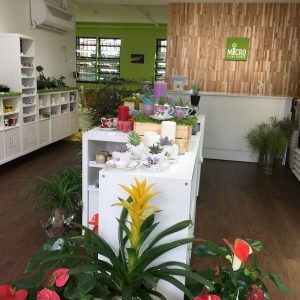 The showroom was carefully designed to embrace the beautiful elements of nature, green and brown colors, textures, lightings, and at the same time reinforcing the company’s brand and celebrating the uniqueness of each plant, flower, and other products. Nature becomes the art and our guests become admirers of nature. Micro Plant Studio’s South Boston location is comprised of a showroom and a creative arts studio. The space challenges what one traditionally would consider a florist, plant or gift shop. The showroom combines these three concepts and pushes them to a new level. Showroom guests will find a unique sample of items from Micro Plant Studio’s full online website collection. Behind the showroom guests will find an intimate studio space for creating terrariums, painting and participating in other creative projects/workshops. The studio is a space where people are encouraged to create art, be inspired by art and nature, learn from each other, be part of a shared community space, and increase their sense of community by networking with others. Guests of all skill levels are welcome in the studio. The space is available to educational, corporate, and nonprofit groups. 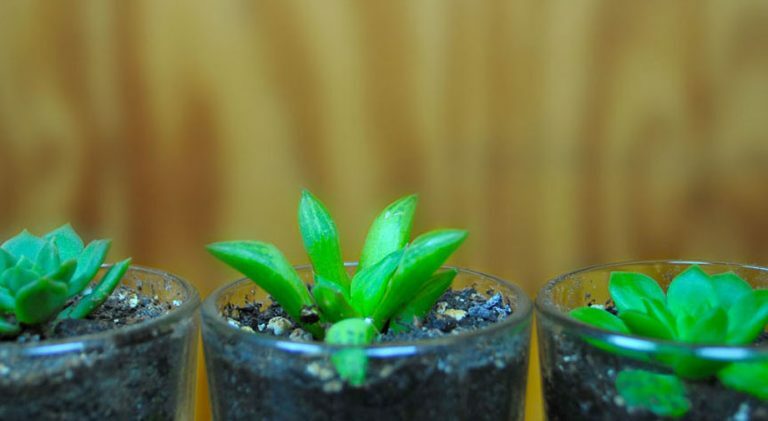 Sign up to attend a Micro Plant Studio painting, potting, or other fun creative workshop. (We provide workshops for corporate and nonprofit sites, great for team building and increasing sense of community.) The workshops are fee based. 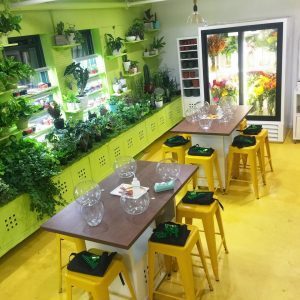 Purchase DIY (do it yourself) products at Micro Plant Studio and assemble them at the studio. A small fee to use the space does apply. Educational tours! Small groups of 8-12 people are welcome for a curated educational tour. Schools, after-school programs, elderly programs are welcome! Educational trips can be arranged by submitting requests via our online application, a small fee applies. The studio is not available during workshops or during special events. For other information, please contact us HERE. Micro Plant Studio carries over 50 different styles of micro pots, 100 decorative/fairy terrarium/plant toys, 20 different types of succulents, and seasonal fresh cut flowers and plants, including the mysterious Venus Fly Trap! Micro Plant Studio has eight collections and expanding! Some of the items in each collection are one of a kind and in some collection we have more than one items and some items are seasonal. From time-to-time we replace the items within each collection. Micro Plant Studio also features a balloon-stuffing machine, allowing guests to customize the insides of balloons with photos, stuffed animals, money, gift cards, small plants, or other personal/sentimental items.